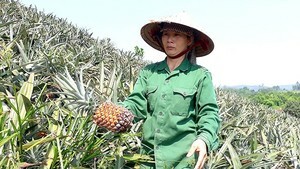 In the 20 years since it opened up through doi moi, Vietnam has become an attractive destination for foreign investors, especially the Mekong Delta region, and Korea is among the top investors, the Vietnamese envoy in Korea told attendees at a seminar held in Seoul October 6 to promote investment in the delta. Pham Tien Van, the Vietnamese Ambassador in Seoul, said by this August, Korea had invested US$22 billion in over 2,200 projects to place second among 90 countries and territories investing in Vietnam. Ninety Korean business executives attended the seminar organized by the Korean Small and Medium-Sized Business Association and the Vietnamese embassy. Interest in investing in Vietnam has grown strongly in Korea, Mr. Van added. On the same day, the Korean Consulate in Ho Chi Minh City and the HCMC Union of Friendship Organizations celebrated Korea’s 4,341st founding anniversary, October 3. The chairman of Vietnam - Korea Friendship Association, Vu Van Hoa, said Vietnam desires to promote comprehensive and long-lasting cooperation with Korea.